You may have heard a lot about Crystals over the years, or maybe you have wondered what all the fuss is about? Pretty rocks or mystical entities? Crystals are a part of the Earth’s signature geological footprint. They have been compressed, stored and formed in the many changing layers of the ground, and carry powerful memory and energy on their electromagnetic waveband. The formation of crystals over millions of years offers insightful tools we can use in our everyday. In fact did you know crystals are shaped and used to conduct energy and help to conduct lasers? If you really want to get your science on: a laser is created when the electrons in atoms in special crystals or gases absorb energy from an electrical current or another laser and become “excited.” The excited electrons move from a lower-energy orbit to a higher-energy orbit around the atom’s nucleus. When they return to their normal or “ground” state, the electrons emit photons (particles of light). So it stands to reason that these incredible pieces will have an impact on the entirety of the human body and energy field. Human bodies conduct electricity and are made up of atoms. At Talk With Your Angels whilst we appreciate the science of a crystal, we don’t get tangled up in the details but enjoy moreover the positive impact these gems can have. Here we have a list of 5 crystals you can use in your home. Commonly sourced in South Africa, the United States, Brazil, Japan, India, and Madagascar, Rose quartz is the crystal of love, the heart chakra, and peace. Rose quartz is calming and brings deep inner healing. If you want the energy of love in your home, place the rose quartz next to your bed or in the southwest relationship corner of your room. It will encourage love, trust, and harmony, and will gently remove negative energy. Commonly Sourced in Sri Lanka, Brazil, Africa, United States, Western Australia, Afghanistan and Italy, the Black Tourmaline purifies dense energy into a lighter vibration. Many people consider Balck Tourmaline as a force field against negative energy. The crystal acts as a protection and stops negativity from entering the home. To help remove dark energy we recommend placing black tourmaline in that specific room or area in your house. Found in Britain, Egypt, Mexico, Peru, Poland, Libya and Madagascar, the Celestite is the crystal of dreams and creative calm. It attracts good fortune, sharpens the mind, dream recall, relaxes muscles and is soothing. Place celestite in your bedroom, especially a child’s room for restful sleep and positive dreams. Often sourced from Britain, Czech Republic, Slovakia, Peru, Iceland and Romania, the Carnelian is full of life and energy, and can even restore other crystals. It promotes courage, removes fear and has trust properties in yourself and your perceptions. After a tiring day at work, Carnelian is perfect in the kitchen to give you that boost of energy you need and creative inspiration flavour for cooking. Commonly sourced in Britain, Australia, India, Brazil, Czech Republic, and Italy, the Apophyllite is the crystal of energy and connection between the physical and spiritual realm. Apophyllite is the stone of truth and has a significant calming effect and stress reliever. 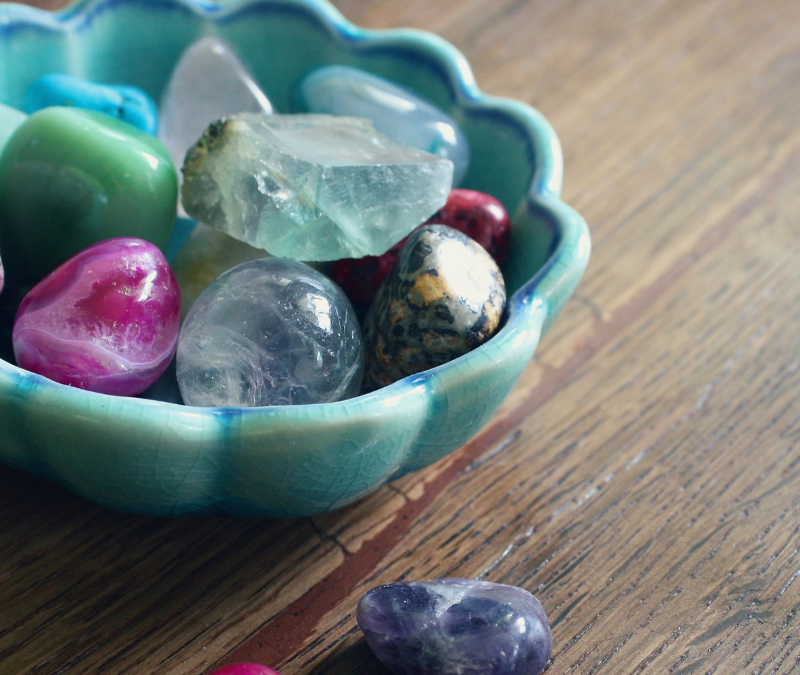 Placing one of these stones in your home will instantly uplift all energy, reducing worry, fears, and anxiousness. Furthermore, Apophyllite allows angels into your home with universal love, clearing all mental blockages and negative thought patterns. 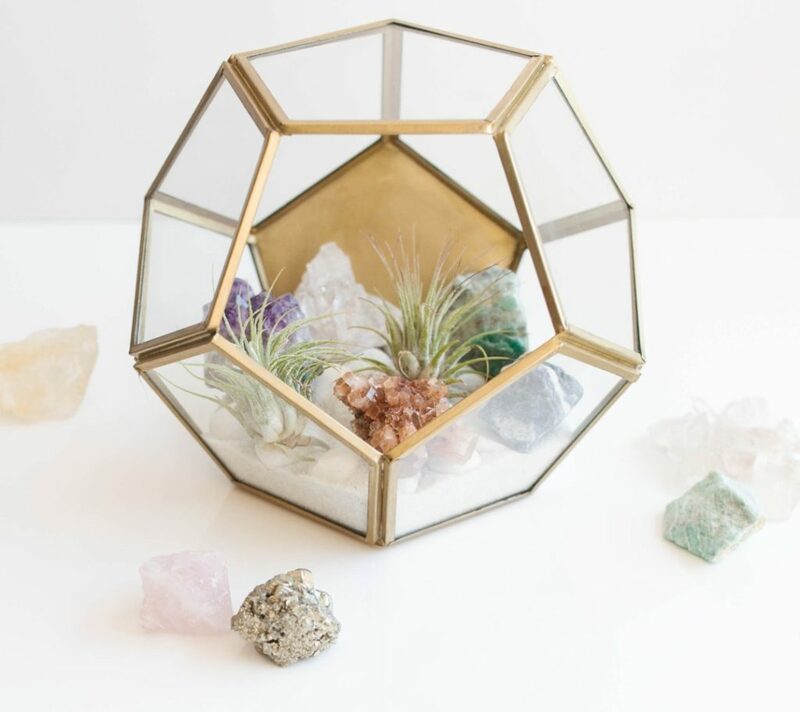 Time to get your crystal on and benefit yourself and your home in the long run! Always make sure you take good care and cleanse your crystals on a routine basis. For more information, we have used the lovely Judy Hall Crystal Bible for reference, where you can continue your crystal journey for the home. At Talk With Your Angels we use crystals in our daily lives and with our special guests. We also encourage daily grounding techniques to compliment the balance and synergy of your mind body and spirit. Click here to get your complimentary 5 Days To A Life More Grounded daily lesson plan. No strings attached- just because Ruth believes in sharing knowledge with the world.